We’ve reached our witching hour. I can’t remember the last time I had a full night sleep. Sometimes I search for constellations in your popcorn ceiling. Anything to make me feel like I’m not here. Here. Shoulder snug with your arrangement of pillows and stuffed animals. Here. Arms pinned above my head, wrists extended, fingers jammed against your headboard. Here. Waiting for one of your roommates to use the bathroom or stumble their way in with a mouthful of laughs and head swimming in liquor from the party down the hall. I’ve lost count how many times I’ve heard that Drake song. I wish I was home. That song is playing again. YOU start to gyrate to the muffled melody. Sway your hips left to right. With each sway, my belt buckle pinches my lower abdomen. YOU lean in close to my face, rise to your knees but keep your hands pressed down on my arms. Harder this time. YOU laugh. YOU treat my arms like scratching posts. Giggle. This time into my neck. YOU continue to straddle me and retract your claws. For now. Your attention falls to the disarray between your thighs: the wrinkled shirt, the loosened belt. Your eyes light up. Remind me of sparklers against the night sky how your pupils dilate at the sight of me. YOU lift my shirt up past my hip bones. My arms remain above my head. Fingers smooshed into the headboard. I’m your ballerina mid-pirouette in your broken music box. The song is fading out. YOU move your finger up to my chest, pushing my shirt along the way. I stare back at your digital alarm clock. It’s pair of red eyes wink at me. 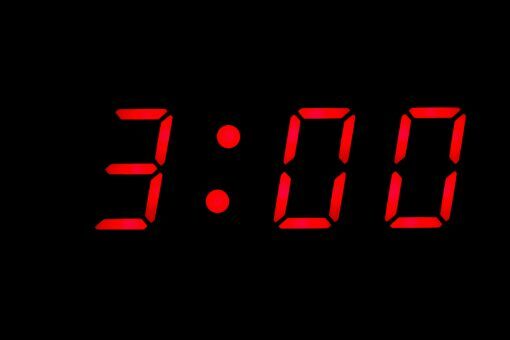 It’s now 3:15. We stare at one another as YOU follow the creases on my stomach like it’s a road map. I wonder what direction you’ll take tonight. YOU stop your journey at my belt buckle and collapse into laughter. Fall on me. Your hair in my eyes. Your cheap perfume lounges in my sinuses. YOU pull my shirt back down and tickle my sides before taking my hands – one by one – and directing them to your back pockets. The red eyes stare me down. I have a class at nine thirty tomorrow. YOU sit up and I come with you – my hands still hitched to your denim. It’s so late, Aria. Why didn’t you tell me you had to go?